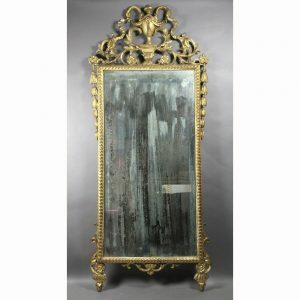 With Italianate oil on canvas panel over a mirror plate set in a greenish gray frame. Provenance; Fogg estate. In good condition.